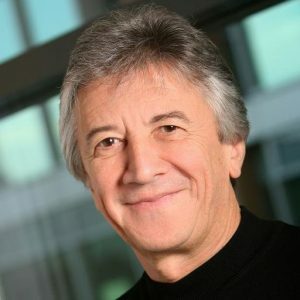 comScore recently announced that its Board of Directors has named company co-founder Gian Fulgoni as its Chief Executive Officer. Fulgoni most recently served comScore as Chairman Emeritus, a role he has held since 2014, and he will continue to serve on the Board. Mr. Fulgoni previously served as the company’s Executive Chairman of the Board from 1999 to March 2014 and has been a member of the Board since 1999. From 1981 to 1998, Mr. Fulgoni was President / CEO of Information Resources, Inc. (IRI), a leading global supplier of retail point-of-sale scanner information to the consumer packaged goods industry. Concurrently with the appointment of Mr. Fulgoni, the company implemented additional strategic changes to its executive leadership. Bill Livek, comScore’s Executive Vice Chairman and President, who previously served as the Chief Executive Officer of Rentrak where he led the development of the company’s next-generation TV audience measurement model, will assume strategic and day-to-day responsibility for the expansion of comScore’s fast-growing TV, cross-platform and movies measurement businesses. The company also announced the appointment of David Chemerow as its Chief Financial Officer. Mr. Chemerow has most recently served as the company’s Chief Revenue Officer since January 2016. Immediately prior to that, Mr. Chemerow was the Chief Operating Officer and Chief Financial Officer of Rentrak Corporation until it was merged into comScore in January 2016. Chemerow, Livek and Matta will report directly to Mr. Fulgoni. Melvin Wesley III, most recently serving as the company’s Chief Financial Officer, has discontinued his role as such and will remain with the company to assist in the company’s transition of the Chief Financial Officer duties to Mr. Chemerow.